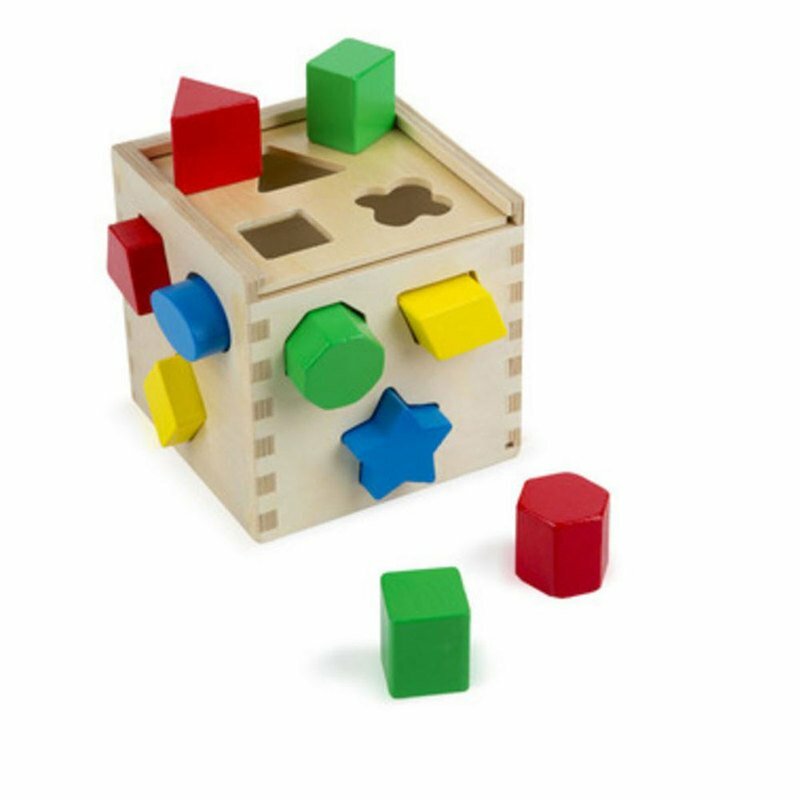 This ultimate shape sorter features 12 chunky, vibrantly colored shapes that make a satisfying "clunk" as they drop into the natural-finish hardwood cube. Then open the lid, take them out and start all over again! A classic educational toy for toddlers. Have kids build a tower with the blocks. Help them become familiar with the shapes and colors by identifying them as kids stack the blocks. Encourage beginning counting skills by asking kids to count the blocks with you. Repeat the activity until they are familiar with the numbers one through 12. Once kids are familiar with the shapes and colors, ask them to hand you a specific shape or color block.